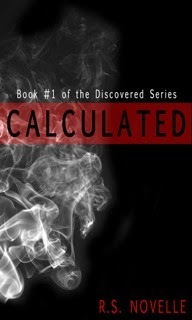 Goddess Fish Promotions is organizing a Virtual Book Blast Tour for CALCULATED by Renee Novelle, a psychological thriller available now. The Book Blast Tour will take place on Thursday, June 12, and is limited to the first 50 people who sign up. This tour will not include interviews or guest blogs; however, a blurb, excerpt and author bio will be provided to every host for inclusion on their blog. No reviews are being requested for this tour. I can post on June 12. Please sign me up. Because I only post on Mon, Wed, and Friday, this post will go up on Wednesday. If that's a problem, please let me know. Count me in at Andi's Book Reviews. Thanks! I am back now, so Our-Wolves-Den can do it on the 12th.